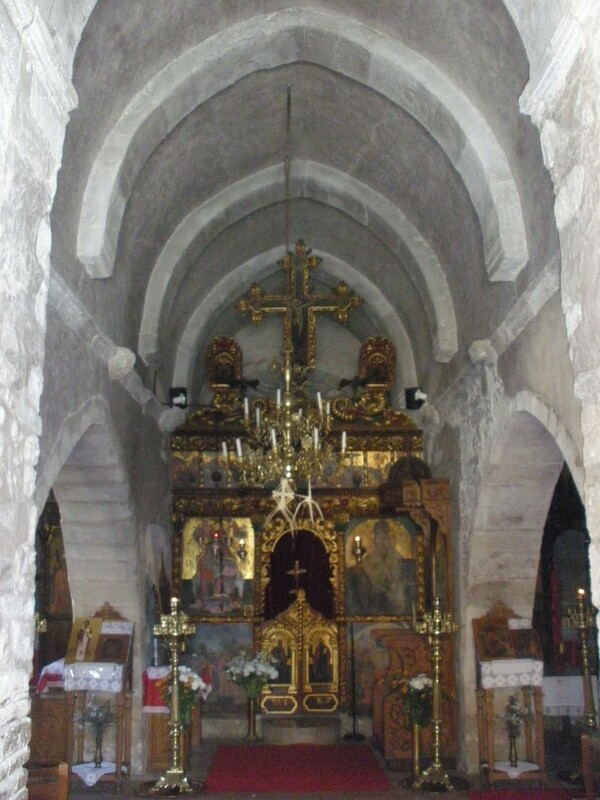 The settlement of Agios Thomas, built in a privileged location, 30 kilometres to the south of the city of Heraklion, ­preserves a large number of churches in relation to its size. The three-aisled church with a domed narthex of St. Thomas from which the settlement took its name dominates the centre of the settlement. Its architectural plan, possibly in the location of an early ­Christian building, was created when a radical rebuilding took place, during the early Venetian period, of an equally ­unknown type of building from the ­middle Byzantine period, parts of which survive in the perimeter of the lower ­section of the walls as well as in the nave. The church was then transformed into a three-aisled basilica while, a little later, perhaps during the 15th century, the tripartite narthex, whose central section is crowned by a dome with a particularly high drum, was added. At the end of the 19th century the belfry, with its adherent base around the north doorframe, monumentally ­structured with a neo-roman arcade, was added. Traces of the mural painting of the church survive in the south aisle as well as the representation of the All-Holy Virgin Vrefokratousa [holding the Child] of the 15th century in the southern section of the narthex.